Each chapter is loaded with technical diagrams, practical exercises, theoretical deep-dives... basically everything you need to get your finger on the pulse of NoSQL in 2019. Look, if you're building a new app or company, getting the database right is a big deal. Moving data stores is a hassle that many people take too lightly only to learn the hard way that they should have been more thorough. Knowing what to avoid, what mistakes people make, the problem set that these items are suited to and what they aren't suited to, all the while making sure you know what is there for you now, makes this book another winner every bit as good as the last edition, if not better. Even if you're just reading to keep up to date, this book is one I think pretty much anyone should have. Choosing a database is perhaps one of the most important architectural decisions a developer can make. 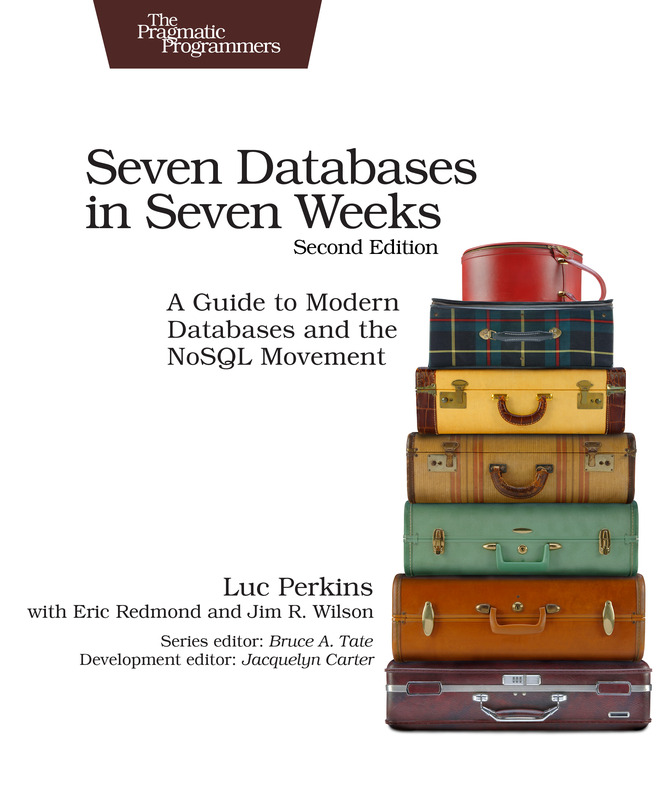 Seven Databases in Seven Weeks provides a fantastic tour of different technologies and makes it easy to add each to your engineering toolbox. Not sure which database you need? This book gives you an awesome primer on each one that includes getting set up, differentiating features, and some hands-on examples. I highly recommend this to anyone that wants a primer on the various databases that are out there. This page was created by Seven Databases in Seven Weeks co-author Luc Perkins (GitHub, Twitter).